Annaqed - The Critic - Re-boot your common sense: Victims or Opportunists? Home > Islam vs. Civilization > Muslims Under the Microscope > Re-boot your common sense: Victims or Opportunists? Re-boot your common sense: Victims or Opportunists? The truth is that the West is already doing an inordinate share of the relief effort for truly displaced people who have been driven from their homes by violence and persecution. Where is a similar response from the Muslim Arab Gulf States? If Muslim countries like Saudi Arabia justify rejecting refugees out of fear of terrorism, why is that concern irrelevant in the West? 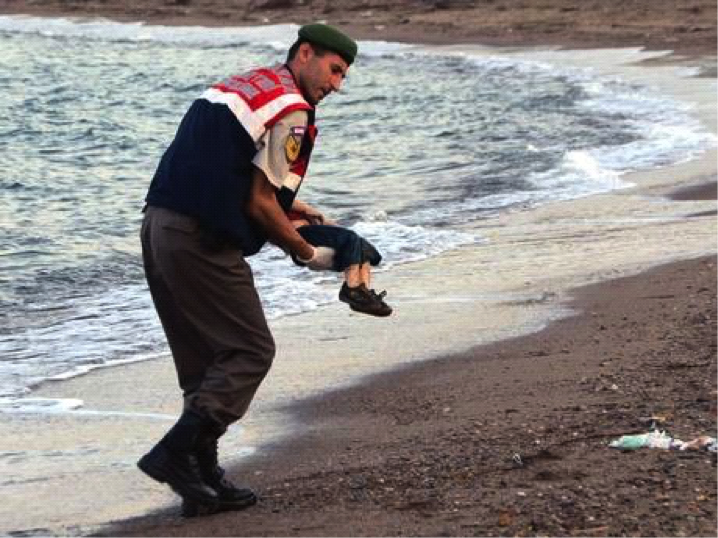 Where is the Islamic “compassion” and “brotherhood” for those in need? Meanwhile, Germany will be accepting over 800,000 refugees in this year alone. 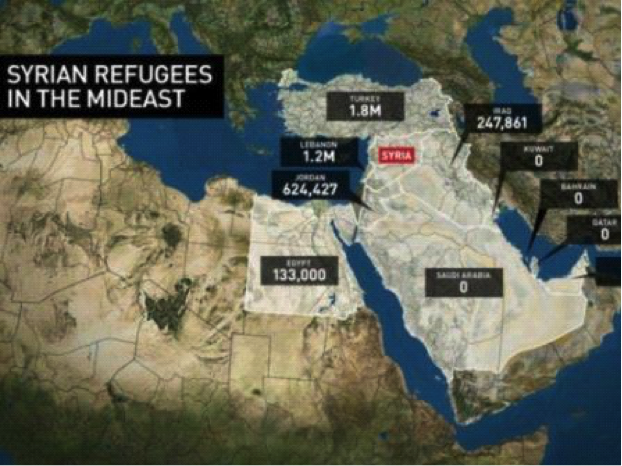 An even more serious issue has to do with how many of the current wave of emigrants leaving the Middle East and North Africa are truly displaced victims or merely opportunists seeking a better life. The drowning of 3-year-old Aylan Kurdi has become “the symbol of the refugees’ tragic situation.” But was he a victim of Western indifference or parental irresponsibility? But there is much more to the story than the sympathetic press in the West is willing to reveal: The boy’s father, Abdullah Kurdi, had applied for refugee status in Canada, but his application was rejected as incomplete because he had previously worked in Turkey and needed an exit visa from that country. So in August, Abdullah joined the mass emigration movement with his wife and two young sons, none of whom could swim. Although they had purchased life-jackets, they weren’t wearing them when a wave swept the wife and two boys overboard. Apparently, Abdullah’s primary goal in Turkey was to get some dentures under the Turkish social welfare program, for which he qualified. After the tragic accident, Abdullah and three adult-sized, ornate caskets found their way back to his home town of Kobani, Syria. 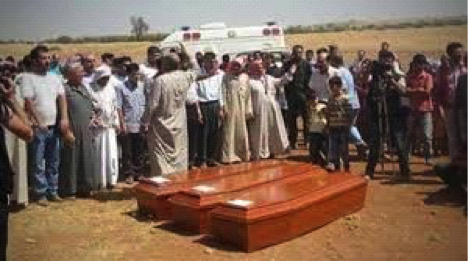 Since Muslims bury their dead wrapped in a cloth and laying on their sides, these coffins seem rather out-of-place. If Abdullah and his family were truly displaced, how could they return to their home town for the funeral? If Abdullah and his family were so desperate he had to emigrate in a rubber dinghy, who paid for the coffins, their transport, and airfare for Abdullah’s return to Kobani? Abdullah was quoted in the media as saying he now wants to stay in Kobani because Syria is already much better than Europe. Common sense would say that this “symbol of the refugees’ tragic situation” is actually a story of an opportunist who irresponsibly put his family in peril while he is getting some new teeth at the expense of the Turkish social welfare system. We are dealing with a whole different kind of emigration. It’s clear that world leaders do not know how to deal with the problem. After WW II, there were a lot of “displaced people” needing a new home. These people were basically aliens in their home countries, “displaced” by the outcome of the war. Jews and Poles come to mind. What we have today are people leaving “failed states” in large numbers. The flow of humanity could potentially be the entire population of those failed states – all for the same reason. But these people are not ideological or cultural misfits. Instead, they are bringing their failed ideology and culture with them. In their new homeland, they want to set up parallel legal systems that are alien to the existing constitutions and legal systems. What will this do to the culture and legal systems of their host countries? If there were 800,000 armed invaders on the border of Germany, for example, the nation would rightfully repel them. Is there a moral argument that says if 800,000 unarmed invaders try to enter the country illegally, they should be welcomed? Compassion compels us to help those in need, but when there are so many claiming to be in need of assistance, somehow that compassion must be rationed. In the humanitarian triage, who decides which emigrants will become immigrants to a new country? Is it fair to fast-track some people who literally threw themselves at our mercy, while others from the same region and circumstances had to wait 10 years for legal entry? There is also an issue with the sinister dispersal of recent immigrants here in the U.S. Inordinate numbers of Somalis have been re-settled in small agricultural communities. These are towns that employ large numbers of unskilled labor in meat packing and food processing industries. The government is saying to employers, in effect, we are going clamp down on your use of illegal Mexican immigrant labor, but we will replace those workers with Somalis who will likewise work at low wages. To sweeten the deal, the government subsidizes the companies who will employ these workers. What we are discovering, however, is that human labor isn’t interchangeable. Mexicans not only have a strong work ethic but they share the same Judeo-Christian values as most Americans. The Somali workers, on the other hand, do not have the same motivation or values as their employers. This is creating problems. It will be a disaster if Western countries accept all comers in this new, massive emigration phenomenon. That would encourage more and more people to try to enter Western countries illegally. It would drain the resources of the host countries, and cause reactionary attitudes and responses to the new arrivers. Nations need to be able to “lock the door” and control who enters and who does not enter. Compassion must be tempered by common sense.